dont have much news about duckpoker today ,but certainly i still have my active account and dont like their tournament in demand it feels like its a set up,not sure only wonder why cant make it anymore,well goodluck anyway.. I have only one question about freerolls at duckpoker. The exclusive €20 Daily Freeroll at 19:00 GMT at Duck Poker is not related to any leaderboard/series. 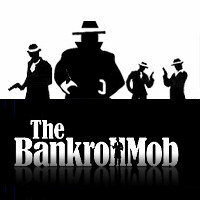 This is a one more thread about one room that in the pasts months they give us a lot to talk, about freerolls, about their support, about the games, about traffic, all of that are here in this forum. But about what you are talking, after i get out of that room, i never give a look for what they did or they will do in the future, but if you read threads about that room, and see what we say about the room, you will understand why this kind of things, from one day to other.